Even if you have all the food, water, back up power supplies, etc. 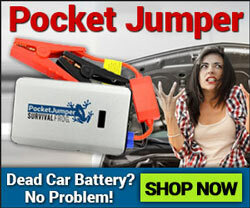 you could ever want at your disposal you’re going to need to be able to withstand the rigors of a survival situation. And the only way to ensure this happens is to maintain a basic level of fitness. There’s a long list of reasons you need to be in decent shape, but most of it comes down to the simple fact a SHTF situation is going to subject you to stress you don’t normally see in your day-to-day life. And those circumstances will often be life or death. Say for instance your town’s been hit by an EMP (electro-magnetic pulse). Your entire city has been plunged into the dark ages for a time. Now imagine you were going to rely on your home’s wood-burning stove/fireplace to keep you and your home warm during a crisis. If you had a low-level of fitness you wouldn’t be able to go out into the woods and drag heavy logs back to your home easily. Nor would you be able to split the wood without difficulty. Meaning your plans for warmth from firewood are now severely dampened. You were planning on bugging in at your home. Unfortunately during a crisis the safety of your home has been compromised which means it’s time for you to carry all your survival gear with you and make it to your bug out location a hundred something miles away. Oh, your cars don’t work either. Think you could make that walk without trouble if you were out of shape? The preceding two examples are only a small sampling of the kinds of situations requiring you posses a reasonable level of fitness. Now bear in mind you don’t need to be as fit as a world-class athlete to have an acceptable level of fitness. But having the ability to do several push ups, lift an item equal to your bodyweight from the ground, and walk for 5 miles without fatigue would be ideal. Take a look at some of the following exercise programs you can follow to increase your chances of survival. Before I go any further it’s important I say this. If you plan on beginning a fitness program of any sort it’s important you consult a physician to ensure you’re healthy enough for exercise. Naturally if you’re not fit the only way to increase fitness is to begin exercising…but always consult a doctor or health professional if you’re worried what it might do to your body. Listed below are some of what I consider to be some the simplest (notice I didn’t say easiest) and most effective exercises for getting prepared for a crisis. There’s no way around it, being able to run for an extended amount of time is incredibly important for possible crisis situations. The odds are pretty darn high that if you’ve found yourself in a crisis situation there might be a time where you’ll have to run. My suggestions for training for running is to start slow and build up. That means if all you can run on your first day of training is 100 yards then increase the number of yards incrementally. My recommendation is getting to the point where the ability to run 5 miles is pretty easy for you. Remember this too. If at any point you feel like you can’t keep running then walk. As long as you’re pushing your body to finish the work you’re doing the right thing and you’re increasing your fitness and your endurance. In my personal opinion this is one of the best all around exercises for anyone who’s trying to get in good shape, fast. This movement is used by some of the fittest people on earth to maintain excellent fitness and it’s also an entry level movement someone who’s never worked out can do. The Burpee (or Squat thrust) is an exercise where you start standing up and then jump down to a pushup. Then once you do the pushup you simply jump back up again. Take a look at this video to get the hang of this incredible exercise. How many people do you know who’ve thrown their back out because they were trying to lift something that wasn’t even that heavy? More than a handful I’d bet. Because lifting objects of any weight can strain the body it’s important to prepare for this in advance. The simple truth of the matter is the odds you’re going to have to rely on your strength in a crisis to move heavy objects are quite high. And that’s why I recommend the deadlift. The traditional deadlift is performed by pulling a weighted bar off the ground to develop strength. Most deadlifts are done with a long, olympic bar…the kind you see at the gym. The good news about practicing deadlifts is they can be done without gym equipment. At the end of the day it doesn’t matter which types of weights you use, the point is you’ve got to practice lifting objects so moving objects in a crisis doesn’t become a problem for you. Below I have posted two different videos demonstrating how to safely deadlift at the gym, and how you can do it from the comfort of your home when you don’t have access to that kind of equipment. This first video shows you how to deadlift when you don’t have access to a gym. You can use any weight object (phonebook, gallon of water, or weight) to increase your strength. The second video shows you the traditional deadlift with a single bar and dumb bells. Probably one of the most powerful body weight exercises is the pull up. You’ll recognize the pull up from movies like Rocky where he lifts his body up over a bar 50+ times. The benefit of the pull up is it’ll give you a strong back, strong arms, and a strong core. The other benefit is they can be done at home or the gym, and the equipment needed is pretty inexpensive. You can modify them so if a full pull up is too hard you can still gain the benefits associated with the exercise. And best of all is when you learn how to do pull ups it’ll increase your strength so in a survival situation you can respond to the stress of the moment. To understand how to perform a regular and a modified pull up take a look at the video below. I promise, once you master the pull up, the burpee, running, and deadlifts you’re going to be in great, great shape. And the simple fact is the people who are most likely to survive in a crisis are the ones who have the physical ability to adapt to the stressful situations they’re going to find themselves in when SHTF. Now here’s the thing about being fit and staying in shape. 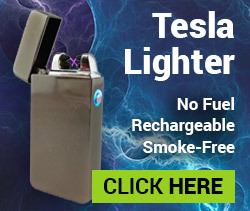 You’re going to need a solid fuel source to power your muscles in a crisis situation. Survival food is the obvious thing you’re going to turn to in moments of stress. If you ever have to bug out and need a quality source of high calorie emergency food I recommend using emergency food bars. 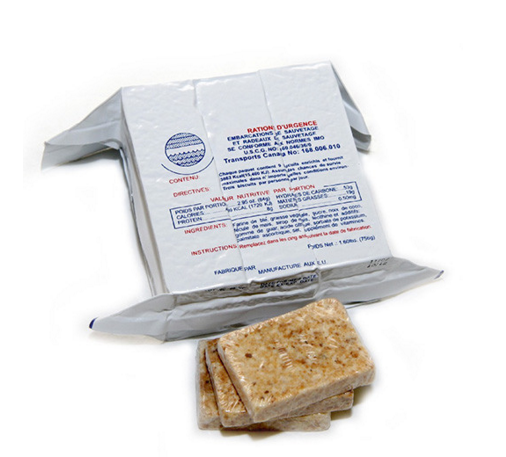 Click here to learn more about my US Coast Guard recommended high calorie food bar. 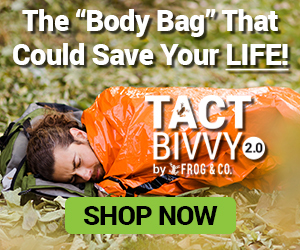 This entry was posted in Emergency Preparedness, Emergency Survival, Prepping, SHTF and tagged exercise, fitness, survival fitness on October 19, 2015 by Survival Frog.